Firstly, I think it is important to tell you what these books are not: They are not the story of the Trojan War. I know. 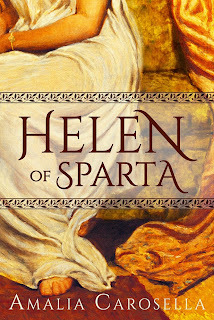 It is super counter-intuitive, because Helen of Sparta/Troy is the face that launched a thousand ships! She's the reason the whole war touched off at all. So anyone who knows their myths is totally reasonable in expecting a book about Helen of Sparta to be a book about the Trojan War. 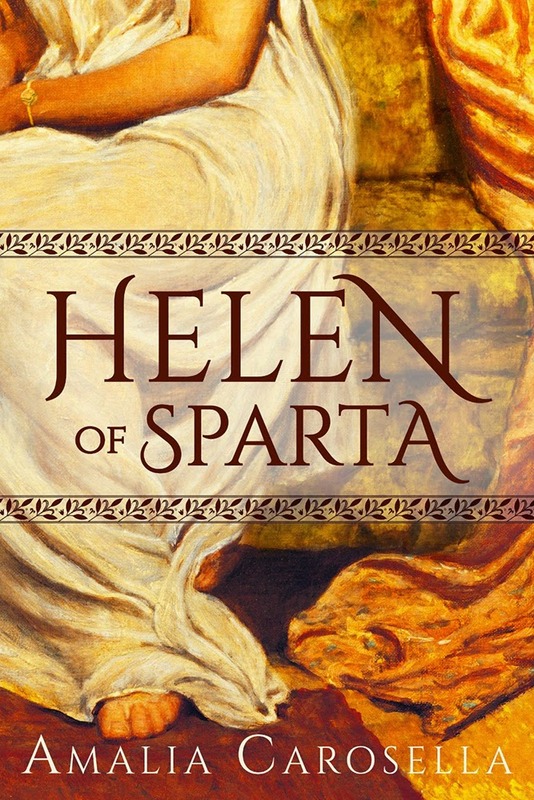 But there is more than one narrative surrounding Helen of Sparta. All of them lead to the war, sure. A war completely arranged like pieces on a chess board by the gods. And there certainly is a war -- the Trojan War, in fact, as a result of the events of HELEN OF SPARTA and BY HELEN'S HAND. The only trouble is, that story -- the story of the Trojan War -- that's the story everyone knows. That's the story that's been told and retold a hundred thousand times across every medium, from oral storytelling to vase paintings to scrolls to tapestries and mosaics to murals to frescoes to sculpture to plays and more plays to books to music to more books to movies to today. And this isn't about remaking the wheel -- just examining a bit more closely an overlooked spoke. The Trojan War is absolutely significant. Far more so than any other mythic-historical event, for inspiring us to study the past, for enduring in our cultural memory for so long. It's an important story to tell. And it's been told very well. But I don't think that Helen lived only for the Trojan War. The gods might have tied her fate to it, but that doesn't mean there is not more to her story than the inevitable blood and death. Sure, there doesn't have to be. Most of the sources would agree. But there are a small few who suggest something else, something different -- who open the door to possibility. And it is that story, the one that has not been retold a hundred thousand times, that I wanted to explore. In HELEN OF SPARTA and BY HELEN'S HAND, I've done so. Beginning with Theseus's abduction of her in her youth and ending... well, you'll see. 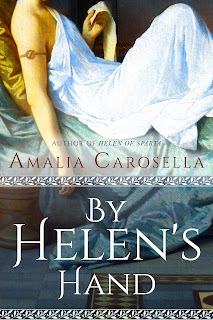 And I hope that even though it isn't the story of the Trojan War, you'll love it for what it is -- a story of Helen. Will there be another book to finish the series? By Helen's Hand is the final installment of Helen's story and completes my treatment of her adventures. If I had seen this in 2016 I'd have said no. But now? Well.